Earn $6.50 in Rewards credit (650 points) What's This? 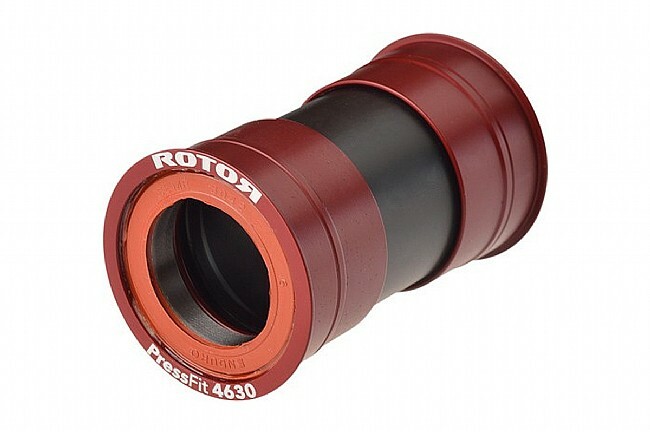 The Rotor PF4630 Bottom Bracket is designed for universal compatibility with 46mm diameter bottom bracket shells. Featuring a lathe and CNC T6 heat-treated 7075 aluminum construction, the PF4630 is lightweight and durable, with steel bearings for a smoother ride. Press Fit bearings for all 46mm diameter frame standards. BB Shell width (mm): 68. BB/Frame interface: Press Fit 30.